Welcome to Ono Sushi & BBQ! We are located on Liliha + Kuakini. 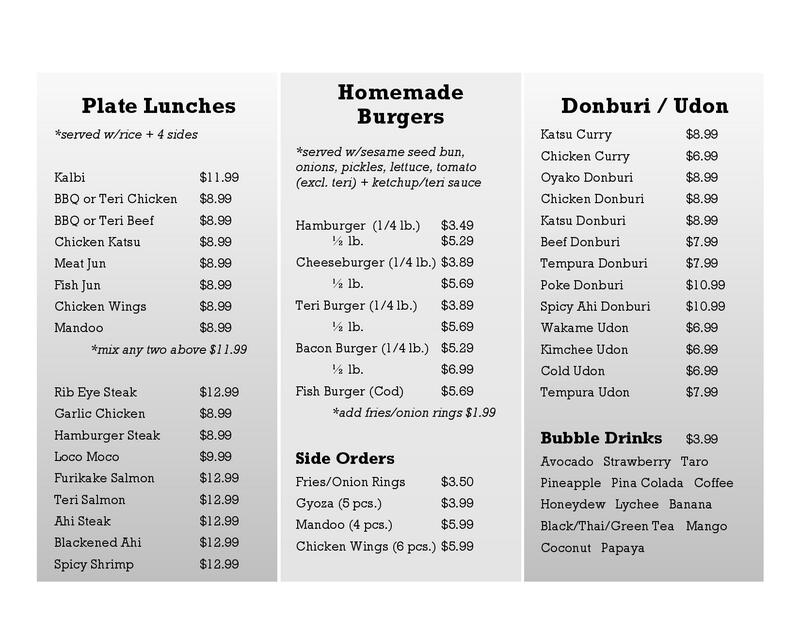 We are a family-run, Mom-n-Pops store serving plate lunches, burgers, and sushi. If you'd like to save time and not have to wait in line, please call in your order for a pick-up! We try our best to serve you by using fresh ingredients (like our ahi and homemade patties) and hope you enjoy our food. Mahalo!